Beautiful sounding audio gear for everyone. Serving CO, WY, and the USA . Prices to fit your needs. Demonstrations, better than Listen Up and better value products than Best Buy. We would enjoy being your guide in this complex audio world. 10 years strong! Parasound - Found in professional mixing and mastering, but most importantly your home. Realize the sound and then discover the ease of ownership. JC5 JC3 Jr JC2 Amps with design and strength to control your speakers. 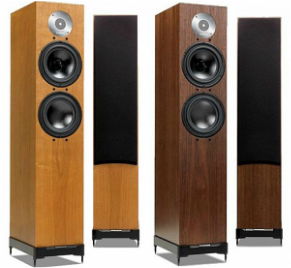 Spendor Audio is one of England’s best-loved and most respected loudspeaker manufacturers. Revered throughout the world, Spendor has its roots in the BBC's sound engineering department. 45 years of class-leading R&D (it makes its own drive units in-house), innovative design and no-compromise engineering. Outstanding musical performance and exceptional value for money. Spendor D7, A4, and D9 Manufactured in England. VPI Industries makes high value, musical turntables that can transport musicians into your home! Enjoy the reliability of a turntable built with care in the USA. VPI Prime - we can help you get the most from your VPI - easy to hear upgrades like the ADS, Periphery Outer Ring Clamp and Dual Pivot. 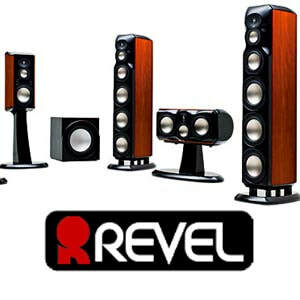 Revel has decades of R&D with applied cutting edge craftsmanship. JBL in roots with engineering greats - Floyd Toole. Exact sound with neutral presentation. Priced for real people that love music. The new Performa BE F228! 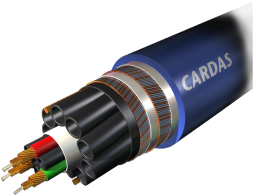 Since 1987, Cardas Audio has manufactured premium audio cables and component parts. George Cardas founded the company to perfect audio cables using ultra-pure materials, innovative Golden ratio resonance control techniques and uniquely insightful solutions to transmission line problems. We have an extensive selection of demo cables including the first out Clear Beyond XL power cable. Discover Ayre and lose yourself in the moment, experiencing music, perfectly timed and naturally alive. Ayre products are manufactured in Boulder, Colorado. Each component is carefully hand-assembled on-site by a dedicated technician, using only state-of-the-art materials and assembly techniques. Winning awards for 23 years. For a true reference quality try the latest 'Twenty' products. AX-5 Twenty, QX-5 Twenty, VX-5 Twenty and Codex! All new EX-8 will be the new standard. Klipsch - History, Engineering and Sound. 70 years of Music. The Klipsch RF7 -II will show off the violin solo and then ROCK the dubstep 101 db. Bringing back the true history of Klipsch the Klipsh Forte III - new for 2017 - Paul Klipsh would enjoy. Quicksilver audio uses Klipsch. In 1948 Ortofon developed its first moving coil cartridge, since then more than 300 different cartridges have been developed and manufactured. Kimber Kables - real engineering to connect you to the music. Direct clean signal transfer. Made in the USA. The m920 High Resolution Monitoring System provides wide open, musical audio playback performance for discerning audio professionals and connoisseurs. Grace Design designed and built on the Front Range. Producing cost effective gear for communicating the wonders of music. For 20 years Jolida has delivered solid performance and trouble free listening. Built on tradition with cutting edge modern engineering, Audio-Technica creates Headphones and Cartridges. Please come in and find the deals you want. Quicksilver NEW preamp ($995) our hottest product. Care to compare to your preamp? Combo specials and demo deals! 10 years!! of happy customers (Please see my Google reviews). I always strive to provide an honest and technically correct answer to all questions. An engineering degree provides a basis for understanding the complex audio world. An undying joy for music fans the fire for the pursuit. Customers are surprised at the level of service that comes with Fort Collins Audio. Spendor A4 - bringing you all the music, fun and true. Spendor speakers create a live experience. While the show again featured several “entry level” rooms, none of them impressed me as giant killers, and one of them (the $5,000 room) was locked every time I stopped by. Climbing from entry to sensibly price, however, the system in the Fort Collins Audio room was an oasis of excellent sound. Two Spendor models, the A4 for $3,195 and D7 for $5,950, worked brilliantly in the small space of a hotel room. Digital sound was underperforming, but spinning records on the Rega P6 turntable ($1595) fitted up with an Ortofon Quintet Black ($995) brought the performance up to something I could easily live with. The system was driven by Quicksilver electronics, including the Mono 120 amplifier with the KT150 tube upgrade ($4,3945 the pair); Line stage ($995); and Phono Preamplifier ($1,595). Cables were Cardas, including the new Clear Beyond XL speaker cables (price TBD) and Cygnus cables. Fort Collins Audio room: Unassuming with minimal room treatments, small footprint floorstanders, and fronted by a Chord Hugo 2, this room was the biggest surprise at the show. 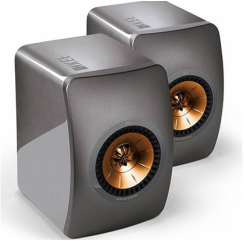 These Spendor A4 ($3,195), driven by Quicksilver Mono 120 (KT150) ($4,395) were voiced so well and sang musically into the room. Fantastic resolution, expansive soundstage, proper tactility and tonal density. I’m surprised this room didn’t garner more attention. Audio Bacon - Best Sounds of the Show - Value Speakers Spendor A4 ($3,195) – I’ve heard the Spendor A9 on a Moon rig and was impressed with the price/performance. The A4 is no different and paired very well with the Hugo 2 and Quicksilver amps. Thank you, Fort Collins Audio! You can’t go wrong with Spendor speakers driven by Quicksilver amps with a Rega turntable, digital by Chord and cables by Cardas. It sounded very British and very good. Spendor's two-way A4 speakers ($3195/pr.) may not have the caché of the more unusual designs and materials seen at RMAF but the company's been around for close to half a century and produces consistently musical transducers. Paired with QuickSilver 120Wpc monoblocks, there was gratifying detail and natural imaging. Their small size notwithstanding, orchestral climaxes crested gracefully. Fort Collins Audio showcased a bunch of new products: Spendor A4 speakers ($3195/pair), Rega P6 turntable ($1595), Chord Hugo 2 DAC ($2375), and Cardas Clear Beyond XL cabling ($TBD). Using an Ortofon Quintet Black cartridge ($995) on the Rega, and Quicksilver Audio hand-built line stage ($995), phono preamp ($1595), and Mono 120 amplification with KT150 tubes ($4395, presumably for each), the system did an excellent job of conveying the air around instruments on a DSD recording of Shostakovich. Timbres were also colorful and realistic. All the system needed was a little more give, a little more ease—more of a sense that the music was alive and organic. (The Quicksilver gear, which I haven't seen at shows in many a year, was new—perhaps its lack of break-in was the cause.) Regardless, I was impressed that this system could handle complex passages with aplomb, and play at high volume without hurting my ears. Digital files sounded far more successful than analog sources, which sounded a mite muffled and too midrange-dominant in this system.